Connolly Music Company warrants this Faith® guitar to be free from defects in materials and workmanship for as long as it is owned by the original retail purchaser, except that pickups, jacks, controls, all other electronic components, tuning machines, hardware, pickguards, cases and case hardware are warranted for a period of one (1) year from the date of original purchase. This warranty applies only to the original retail purchaser when this instrument is purchased from an Authorized Faith® Guitar Dealer in the USA and is subject to the limitations set forth herein. 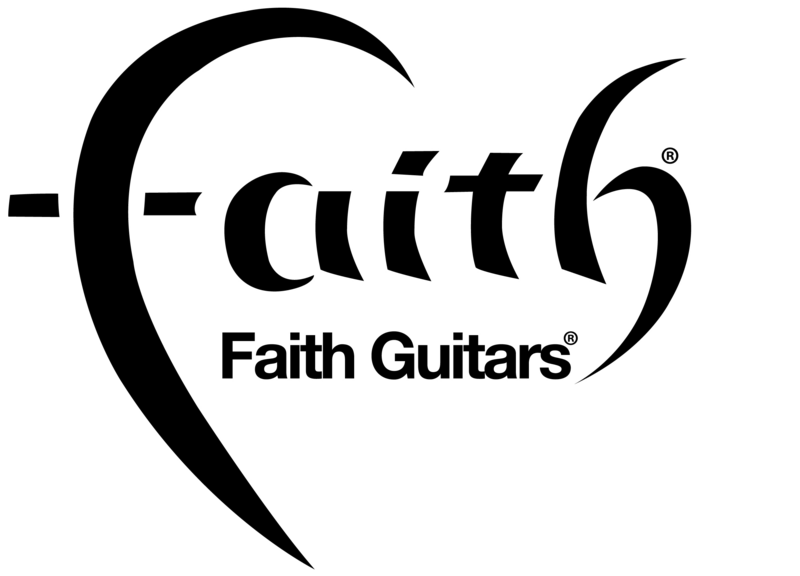 Faith® Guitars reserves the right to use materials regularly utilized at the time of repair in the event that original materials are no longer available. 1. Any instrument modified after original shipment from Faith® Guitars. 2. Any instrument that has been altered or modified in any way or upon which the serial number has been removed, tampered with or altered. 3. Damage due to natural disasters, accidents, misuse, loss of parts, neglect, lack of correct care, or failure to follow instructions. 4. Damages to finish, or cracks, splitting, or warping of wood caused by exposure to extreme changes in temperature or humidity; or if instrument has come into contact with direct sunlight, or other sources of heat, chemicals, excessive moisture, or acidic perspiration. 5. The subjective issue of tonal or playability characteristics. 6. Any instrument that has been serviced by unauthorized persons. 7. Shipping damages of any kind. 8. Normal wear and tear (i.e. ; worn frets, saddle, nut, strings, batteries, worn machine heads, worn plating, string replacement, scratched pickguards, damage from accessories (straps, etc. ), or damages to or discoloration of the instrument finish for any reason. 9. Freight charges to and from the factory or authorized dealer for customer-owned goods. 10. Claims by anyone other than the registered owner and Faith® guitars not purchased in the USA. In the event of malfunction of your Faith® guitar, you should notify your authorized Faith® Guitars dealer. The dealer will contact Faith® Guitars for information and authorization to return the instrument to company headquarters if necessary. The dealer or owner must ship the instrument freight and insurance prepaid. No instrument may be returned to Faith® Guitars without prior return authorization. Service performed by unauthorized persons will void this warranty. When returning an instrument to Faith® Guitars, a copy of the sales receipt establishing proof and time of purchase must be sent with the instrument. Faith® Guitars’ sole and exclusive responsibility shall be as provided under this warranty and UNDER NO CIRCUMSTANCES, SHALL FAITH® GUITARS BE LIABLE FOR ANY INCIDENTAL OR CONSEQUENTIAL DAMAGES. THIS LIMITED WARRANTY IS YOUR EXCLUSIVE REMEDY AND IS MADE IN LIEU OF ALL OTHER WARRANTIES, EXPRESSED OR IMPLIED.